The J+P design and manufacturing philosophy is evolutionary, not revolutionary. 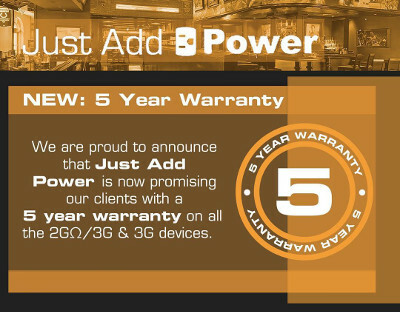 Customers who invested in J+P solutions in 2009 can still purchase new transmitters and receivers today to expand and maintain their system. J+P takes pride in having created an infrastructure that can be sustained and manufactured reliably for many years, making improvements through free firmware updates. When the company adds features that can’t be done through firmware alone, it builds new hardware with an eye towards backwards compatibility. The J+P evolutionary product design philosophy ensures the protection of the customers’ investment and increases system value over time.